CJC Creative Jazz Club, KBB Music, The University of Auckland and the Rodger Fox Big Band present a rare chance to learn from and experience a saxophone master, no matter what level you are at. 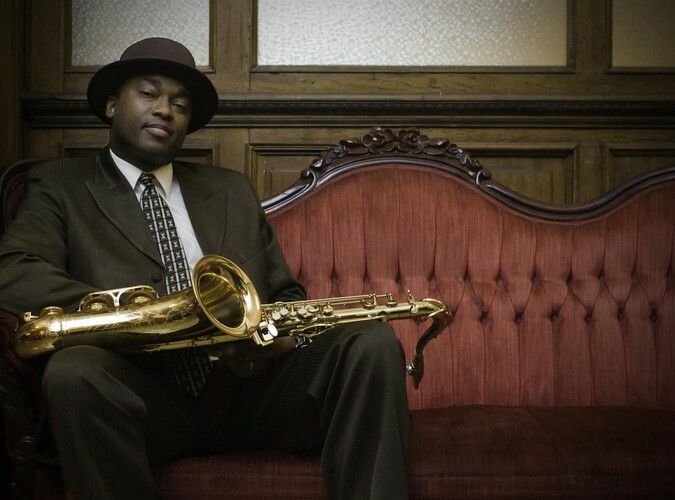 James Carter is one of the greatest saxophonists on the planet today. A virtuoso in every respect. An outstandingly gifted musician deeply rooted in the jazz tradition who is forging new pathways through his creative genius. He had won the Down Beat Magazine's Critics and Readers Choice award for best Baritone saxophone for several years running and has performed with Wynton Marsalis, Lester Bowie, The World Saxophone Quartet, Dee Dee Bridgewater, the Mingus Big Band and many others. He has released multiple critically acclaimed CD's and is in constant demand as a soloist - a true inspiration. James Carter will also be performing with Steve Gadd and The Rodger Fox Big Band at The Bruce Mason Centre, 21 October. This workshop is brought to you with the support of CJC Creative Jazz Club, KBB Music, The University of Auckland and the Rodger Fox Big Band.